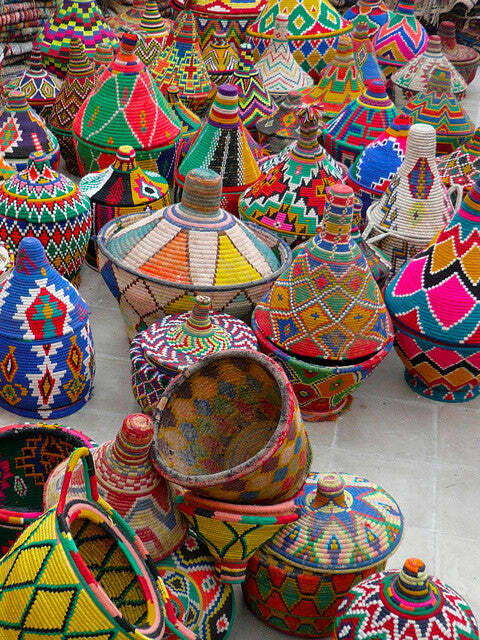 Morocco is a country with rich cultural heritage and artisan traditions that has been rooted for centuries. 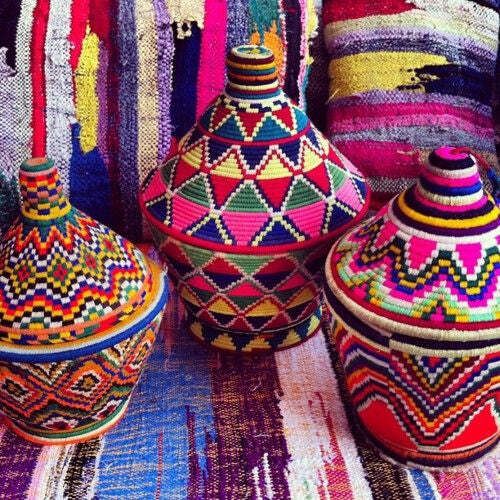 Today, their style of architecture, textiles, leather and weaving still has us going ga-ga!. 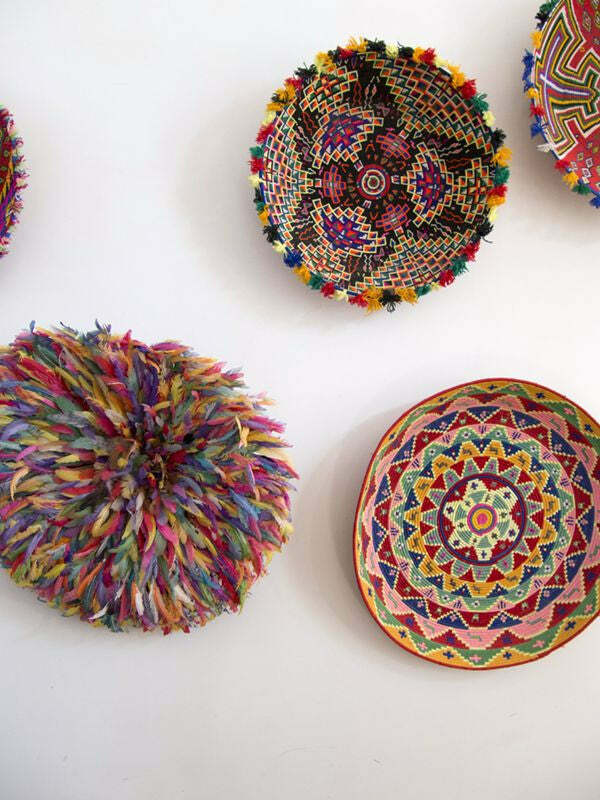 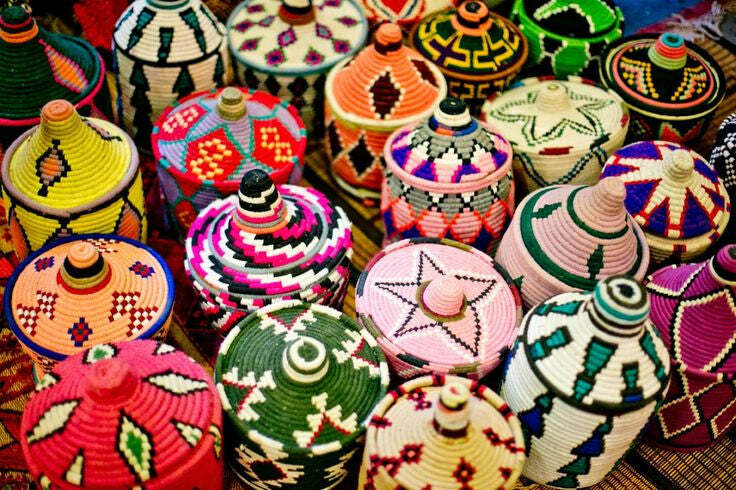 These Marrakesh baskets are beautifully vibrant, eclectic, and happen to make clutter look good! 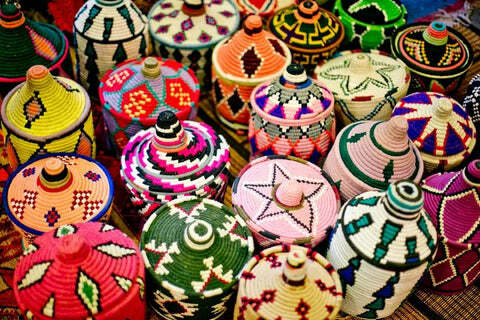 Can I please take them all home?